Mariano Cruceta: programming, electronics, percussion and dance. ​José Luis Montón: guitar and vocals. Gloria Solera: flute and vocals. Electrolé born of necessity and concern the multifaceted creative producer, choreographer and dancer Mariano Cruceta. This is a project that aims to become an artistic platform from which to generate a new trend of flamenco expression language; without losing the nature and tradition of each “palo”, based on the latest trends in electronic music. A creative process developed over low heat; specialized artists from different musical styles, working in freedom, without prejudices, have been built and have joined their talents to form a fresh, new, homogeneous sound. Cantaores: Manuel Gago & Leo Treviño. Scratches: Dj Est & Dj Jhomp. Musicians: Jorge Pardo (Flute and Saxophone),Cuco Pérez (accordion),Bernardo Parrilla (Violin), Yelsy Heredia (bass), Fernando Hurtado (Trumpet), Odei Lizaso (Cajón) y Marcos Salazar (electric guitar). Direction and production: Mariano Cruceta. 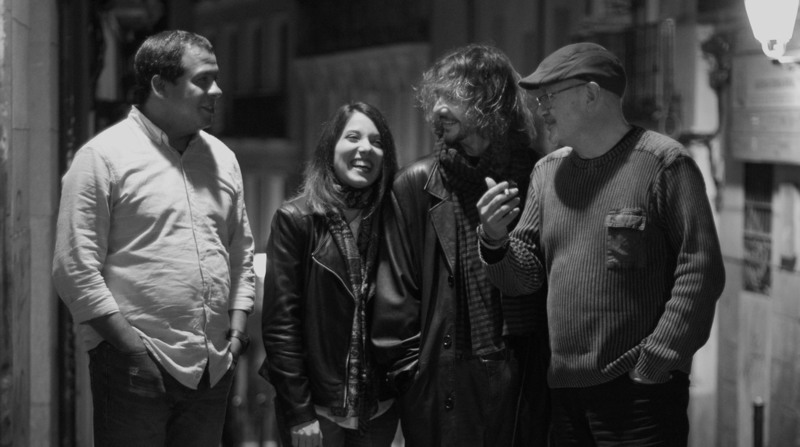 Executive Co-production: Carlos Calle,Gloria Solera, Mariano Cruceta, Javier Ustara & Sergio Delgado. ​Assistant musical production: Eduardo Pineda & Javier Godino. Photography and graphic design: Ian Hoover.